Madison Adult Career Center offers customized and contract training as well as business consultation services to area employers seeking opportunities to enhance your employee talent and elevate your business. Customized Training to meet your specific needs and enhance the quality of your workforce. 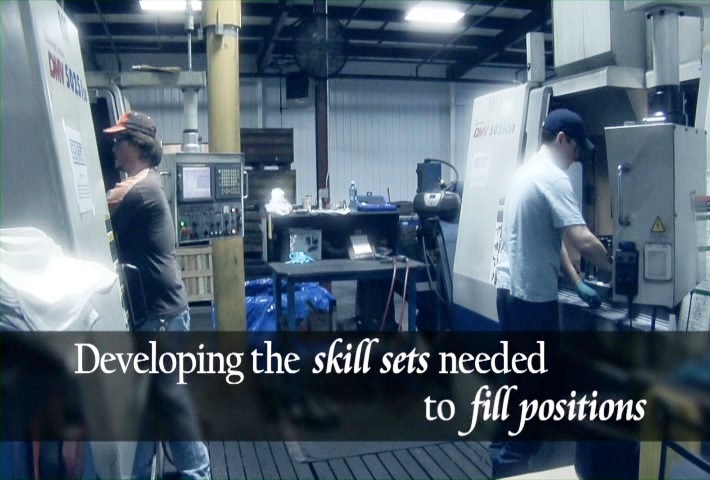 Madison Adult Career Center offers programming in the skill trades (i.e., Welding, Phlebotomy, Manual and CNC Machining, Medical and Dental Assisting, Industrial Electrical Maintenance, etc.) that prepare learners for certificates, industry-recognized certifications, and state licensures. A well-trained workforce means a more productive workforce. Madison Adult Career Center can help your employees reach higher and work smarter. Whether your employees need to update their current skills or acquire a whole new skill set, we can develop the training necessary to meet their needs. We are positioned to respond quickly to the needs of business and industry by providing customized training and business consultation services to companies. Bridging these skills gaps may require a very focused and specialized training. Our trainers and consultants can help identify those skills that training can solve, and identify others where we must look deeper at the root causes which hold workers back and reduce productivity. Training can be provided on-site at your location or at the school and can be scheduled to fit your specific needs (any day of the week; 1st shift; 2nd shift, 3rd shift, etc). But we cannot do it alone. We need you to work with us. We need you to have the foresight to know what skills your employees will need not just today – but tomorrow as well. We need to have the openness to look at all aspects of your business and even the environment to affect positive change for workers, employers, business and our community. If you are an employer and have workforce training needs, just call us and we will work with you directly to develop the training/intervention that will meet your specific needs! Madison Adult Career Center also partners with other local training providers and will do what we can to insure your specific needs are met. Contact us! We are eager to help! And, we are in your back yard!